Print providers often boast a varied skill set to attract a broad audience and to ensure their customers don’t look past them for all print—and sometimes creative and marketing—needs. From May 31 to June 10, 2016, the print industry was inundated with new product announcements, launches, and debuts during drupa 2016. We’ve been waiting four years, but the much-anticipated drupa 2016 is upon us. When competition is high and margins are low, print providers look to digital to differentiate themselves from the competition. Moxy Ox, based in Tontitown, AR, began as the graphic design department of Chandler Equipment, a manufacturer of vacuum pumps, valves, and mufflers for tanker trucks. Digital print providers rely on sophisticated productivity software to run their operations. Accurate color depends on color calibration and management strategies. 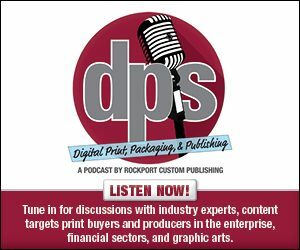 As digital print technologies target packaging applications, interested digital print providers consider the equipment and software investments needed to add the offering. Print providers benefit from the latest advancements in packaging layout software. Web to print (W2P) systems serve print environments from in-plant operations to commercial printers. Digital print technologies offer the ability for shorter production runs and variable data offerings.